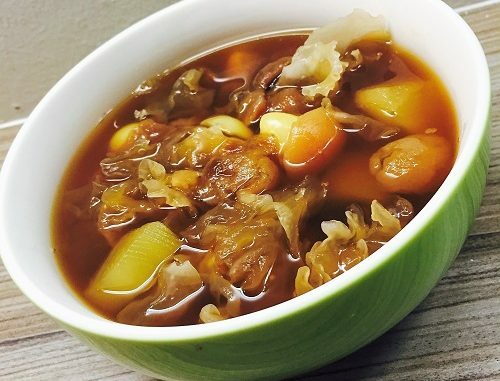 Soak the white fungus and remove the hard stalk in the middle, and cut the fungus into smaller pieces. 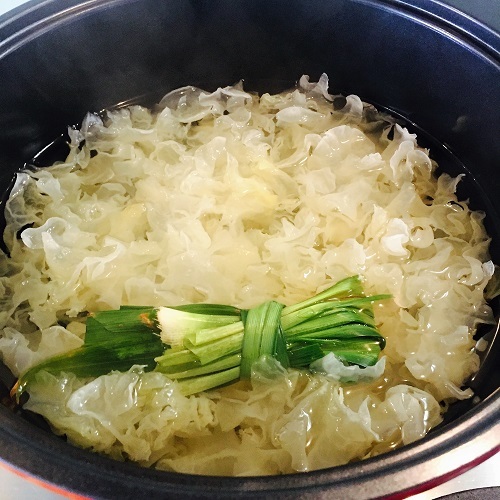 Boil a pot of water with pandan leaves and white fungus. 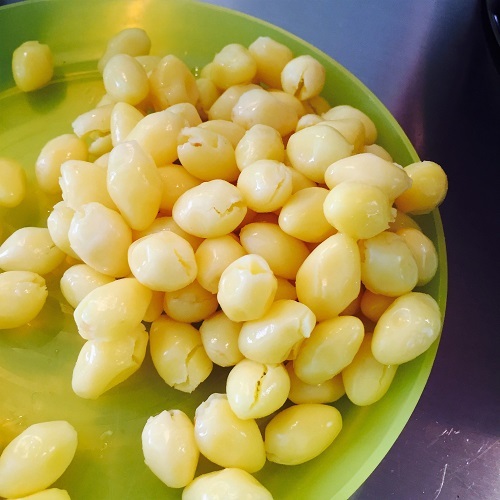 Remove the bitterpart in the middle of gingko nuts. Usually I use a toothpick to do it. 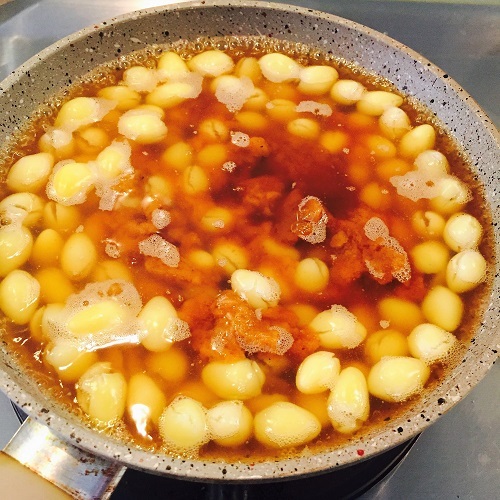 Boil the gingko nuts in sugared water and leave it to cool. 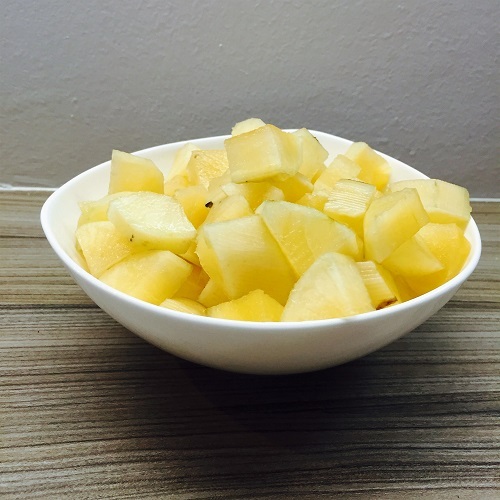 It will soak up the sugar when it is cooled. 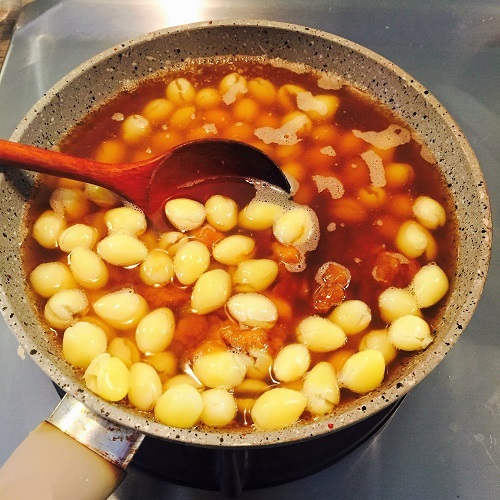 When the pot of water has boiled for about 15 minutes, put in the dried longans, snow lotus and gingko nuts. 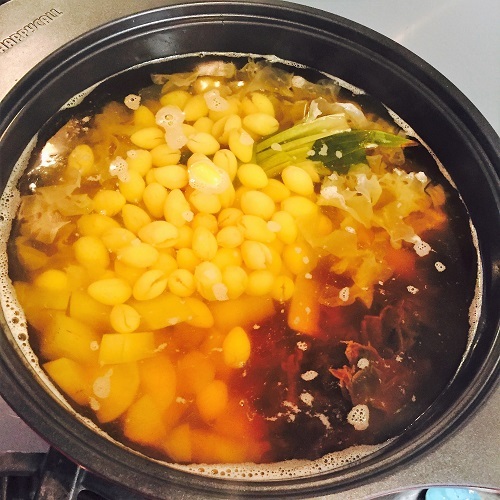 Simmer for another 15-30 mins. Add sugar and turn off the heat.